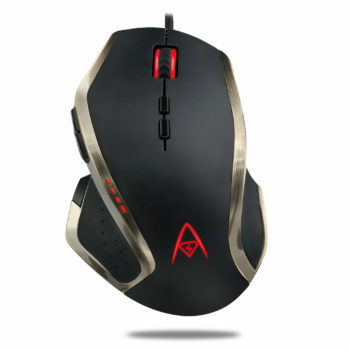 The Adesso iMouse X3 Multi-Color 9-Button Programmable Gaming Mouse fulfills your ergonomic needs and provides top gaming grade specifications for your ultimate gaming experience. 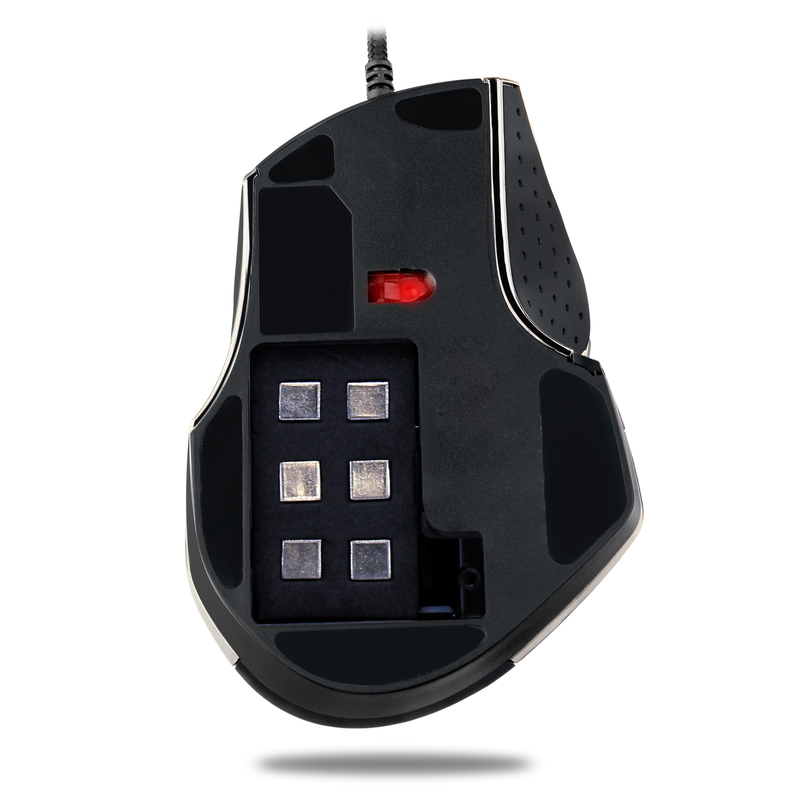 The mouse itself is equipped with 9 buttons, each fully programmable with the user friendly programmable driver. 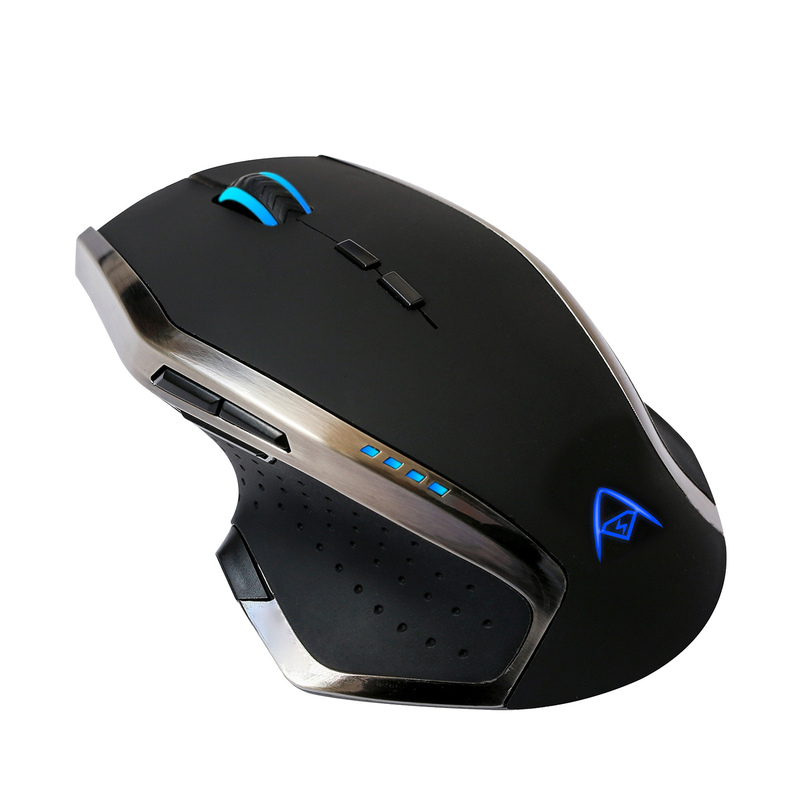 It also has an adjustable weight system where users can remove different weight blocks tailored to their most comfortable level. Together with the programmable driver, the LED lights provide lighting in dark environments and different lighting effects. 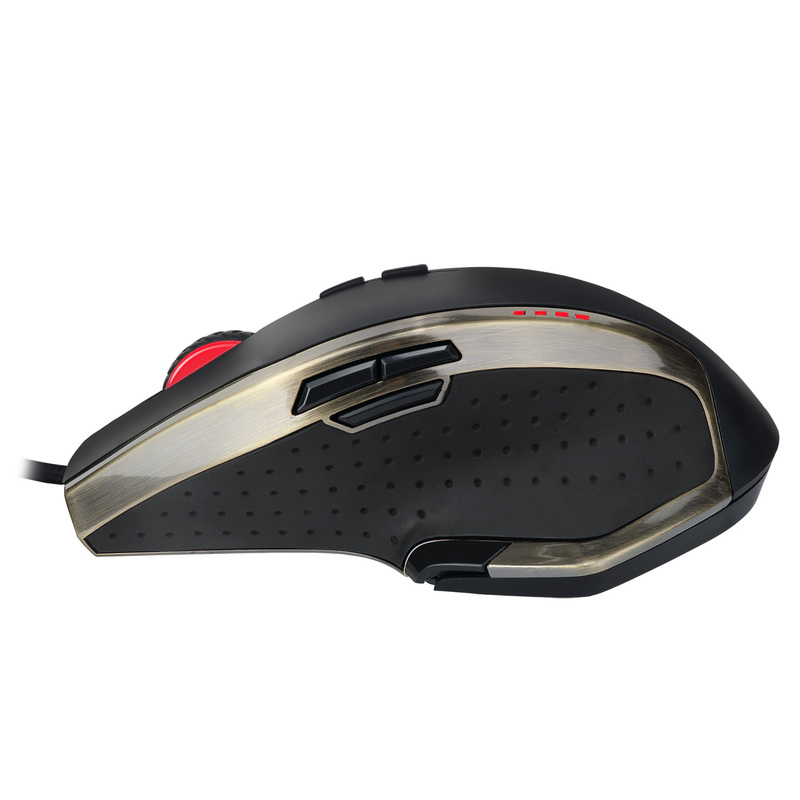 In terms of physical structure, the iMouse X3 is ergonomically contoured and provides both thumb and pinky rests, ensuring maximum comfort during long-usage periods. 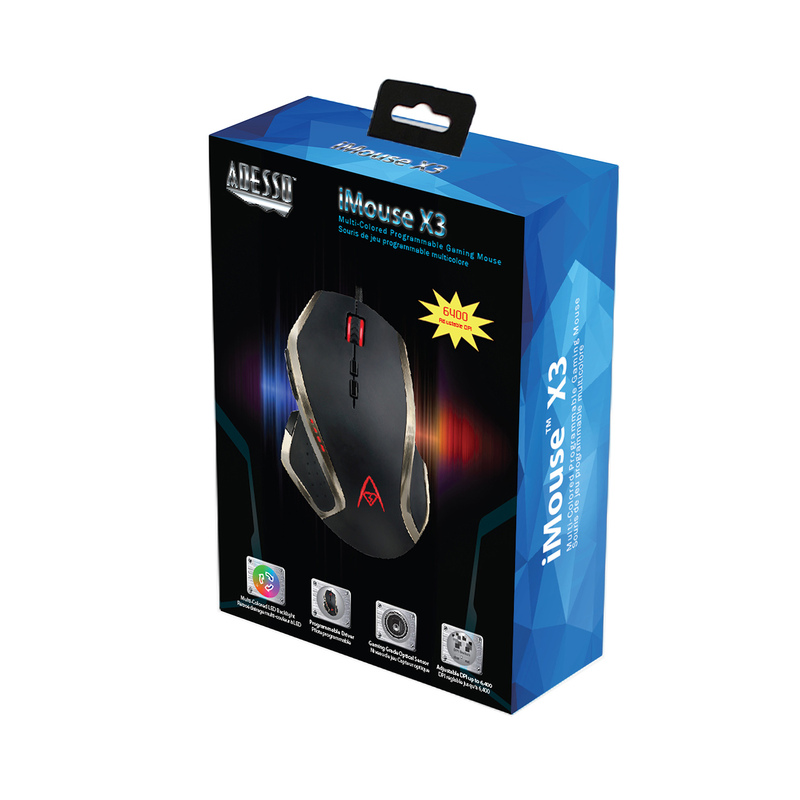 Last but not least, the iMouse X3 is equipped with gaming grade optical sensor with polling rate up to 1,000 Hz, providing precision and accuracy while you are in-game! 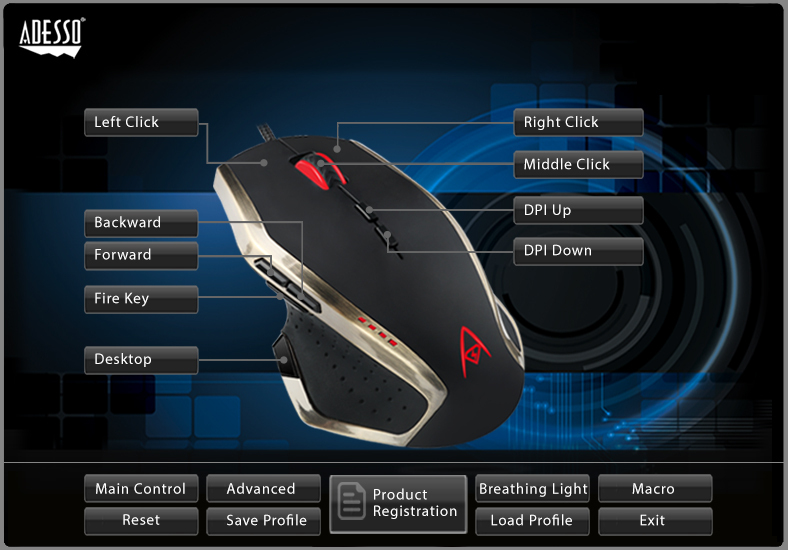 The programmable driver has a friendly user interface that lets you change lighting options, different button assignments, and macros to each of the buttons. 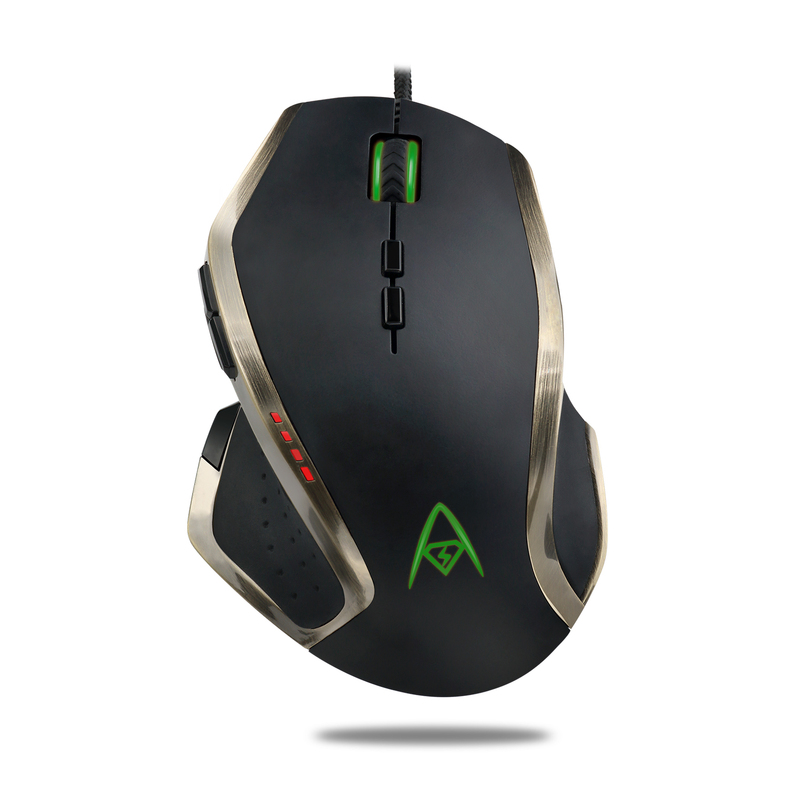 The adjustable weight system allow user to remove different weight blocks tailored to their most comfortable level. 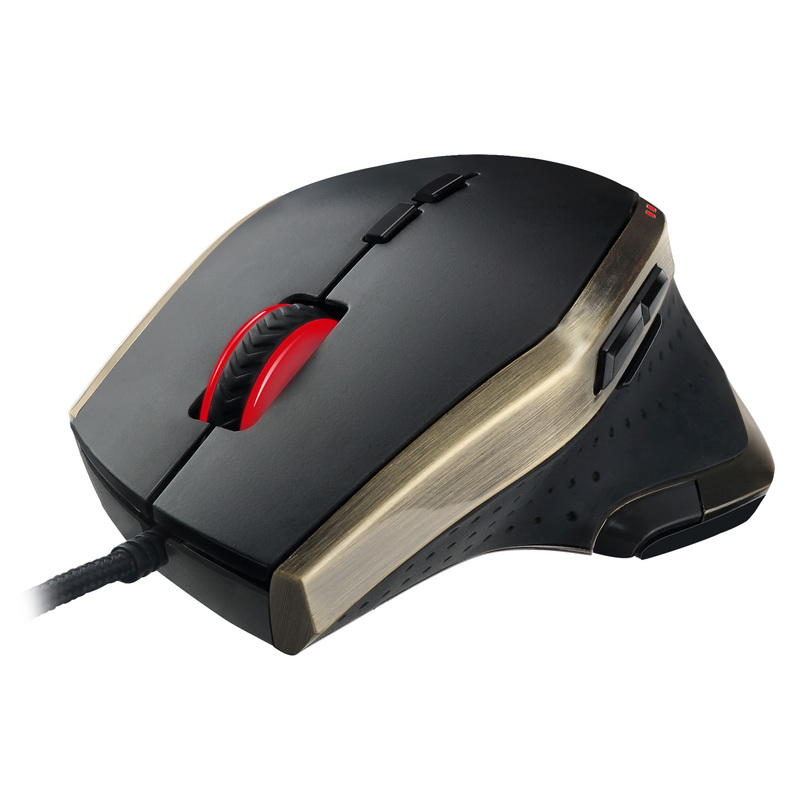 Multi-colored LEDs illuminate the edges of the mouse, giving the mouse a unique look. 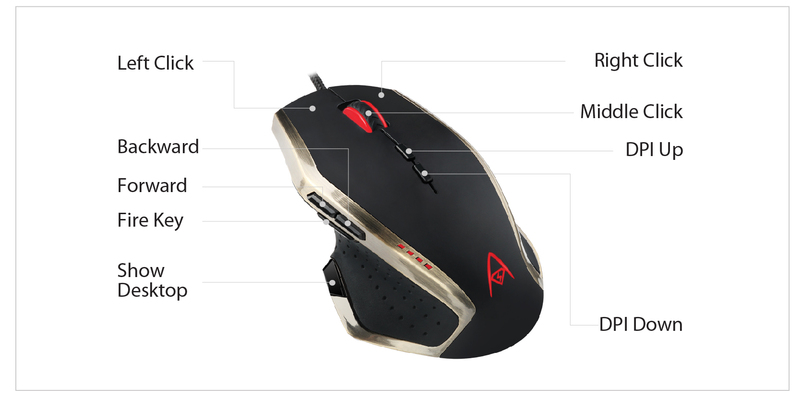 Our leading edge design allows you to adjust the DPI on the fly, from 500-6400 DPI with the touch of a button. Our cutting edge design comes complete with a Gaming Grade Optical Sensor that provides precision and accuracy at the highest speed, even on different surfaces like marble, wood, or leather. 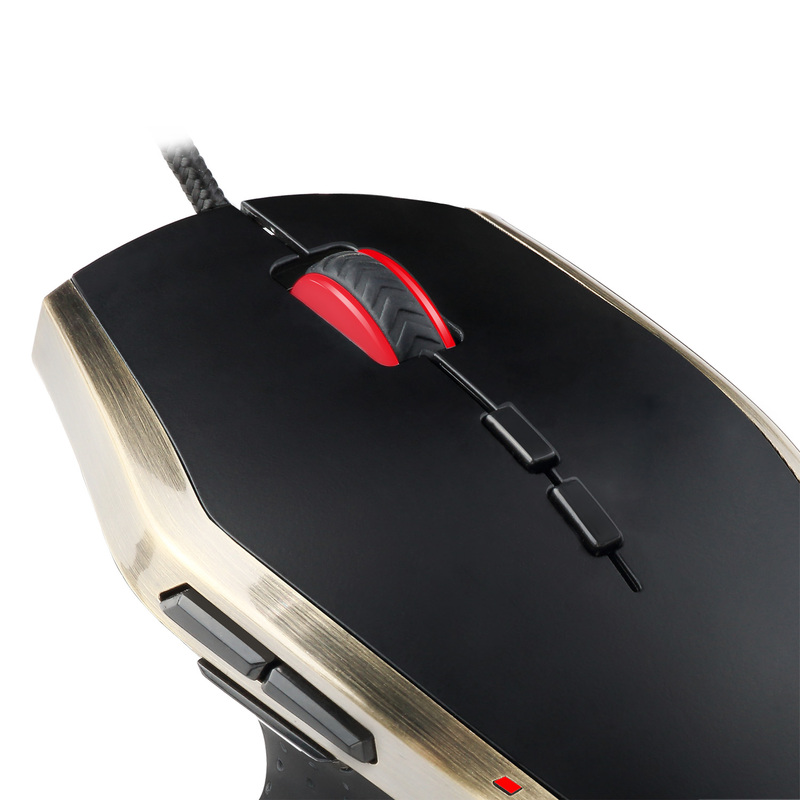 Equipped with its 10 million times lifecycle microswitch, the iMouse X3 provides durability and reliability for your gaming needs.